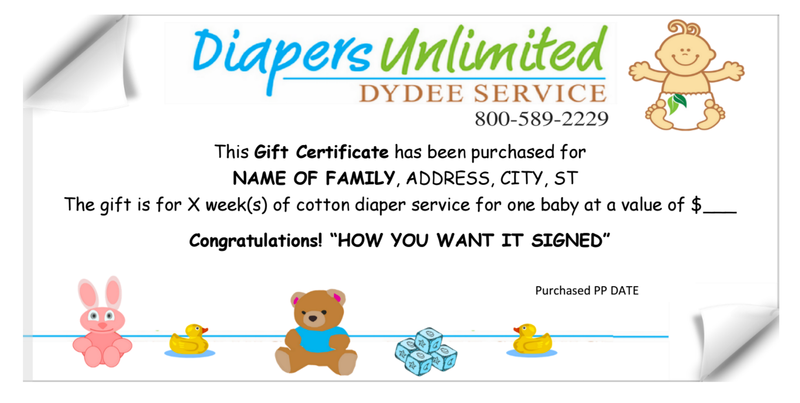 Thank you for choosing the gift of cloth diaper service! Please complete payment to finalize this gift. Thank you! We will be sending your gift during weekly business hours. If you have any questions, call 1-800-589-2229.